head coach of the NHL’s Tampa Bay Lightning. Cooper joins the Lightning after having spent the previous three seasons behind the bench of Tampa Bay’s top minor league affiliate, the Norfolk Admirals and then this season with the Syracuse Crunch. Cooper led the Gamblers to an 84-27-9 record in two seasons, finishing both with the best record in the USHL and winning the 2010 Clark Cup. 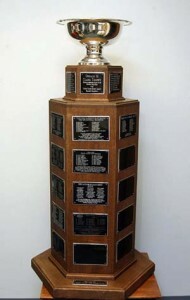 Last season, Cooper led Norfolk to the Calder Cup Championship. He’ll take over on the Tampa Bay bench on Friday night. the USHL Entry Draft to the Cedar Rapids RoughRiders in exchange for a third round pick in the USHL Entry Draft. 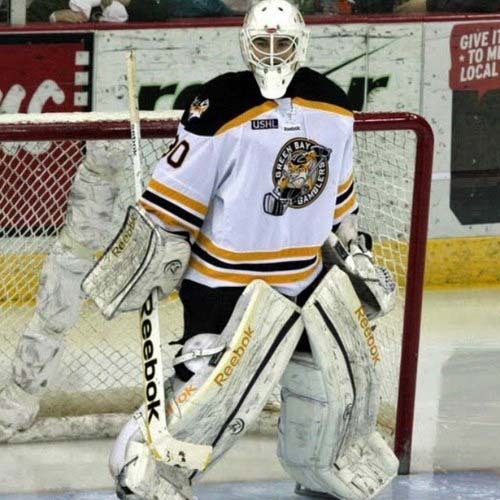 Rotolo saw action in 25 games this season with the Gamblers posting a 14-8-1 record with a 2.85 goals against average and a .901 save percentage. The Gamblers were carrying three goaltenders with the recent acquisition of Finland national goaltender Richard Ullberg. Ullberg has taken over as the teams number 1 goalie, with Green Bay native Tony Kujava serving as his primary backup. The Gamblers return to action Friday night at Youngstown and return home to the Resch Center Sunday afternoon against Cedar Rapids. Green Bay is currently riding a 12-game home winning streak. It’s still early, but last years Clark Cup Champions, the Green Bay Gamblers, can’t buy a win at home. The Gamblers fell to the Indiana Ice 5-3 Wednesday night at the Resch Center in Green Bay. Green Bay’s second line of Alex Kile (1 goal), Matthew Weis (1 goal, 2 assists) and Kevin Irwin (1 goal, 1 assist) combined for a 6-point night. Kiles scored his 5th goal of the season on a second period powerplay. The Michigan recruit has 8 points overall this season. The Gamblers fell to 1-4-2 on the season. They’ll travel to Dubuque to face the Fighting Saints on Friday night. The United States Hockey League (USHL) announced disciplinary action as a result of incidents occurring on Saturday, October 13th in the game between the Gamblers and the Cedar Rapids RoughRiders. Ben Gallacher was suspended for 10-games, Seth Blair 3-games, Sheldon Dries 3-games and Ryan Siroky 1-game. Gamblers the USHL’s Coach of the Year. The award is determined by a vote of league coaches and general managers. Lalonde led the Gamblers to a historic regular season in route to the team’s fifth Anderson Cup title with a league-best 47-9-4 mark during the 2011-12 regular season setting USHL records in points (98) and road wins (25) along with Tier 1 records in wins (47), fewest losses (9), goals scored (250) and goal differential (+112). Lalonde also set a league record for most wins (47) in a season by a first year head coach. 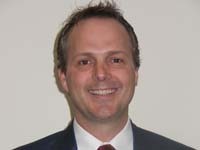 The record was previously held by former Gamblers head coach Eric Rud (2010-11/41 wins). Lalonde led the Gamblers to the team’s third straight Clark Cup Finals. The Gamblers captured the franchises’ 4th Clark Cup championship after a 5-2 win over the Waterloo Blackhawks in the fifth and decisive game. The United States Hockey League announced Thursday that Green Bay Gamblers Defensemen Jordan Schmaltz and Andy Welinski and Forward Alex Broadhurst have been named 1st team All-USHL for the 2011-12 season. 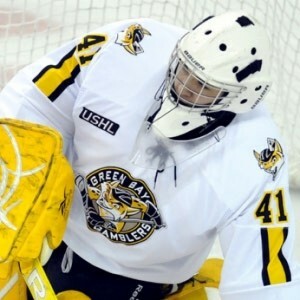 Goaltender Ryan McKay and Forward Nolan LaPorte have been named 2nd Team All-USHL for the 2011-12 season. coach. 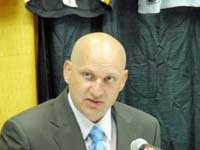 Prior to his one season with the Gamblers, Mikesch was an assistant coach at his alma mater, Michigan Tech University, for seven seasons. 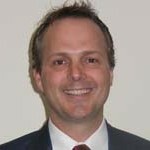 He was also an assistant coach for the United States Under 17 team that captured the gold medal at the 2011 Five Nations Cup in Ann Arbor, Michigan and has served in a head coaching capacity at various USA Select camps and festivals. Mikesch played an integral role in the Gamblers futures and USHL entry drafts the past few weeks and will continue to head up player personnel for the Gamblers. He will also continue to lead special teams and assist with other coaching duties needed. last three years, knocking off the Waterloo Blackhawks 5-2 before 7,007 fans at the Resch Center in Green Bay. The Gamblers captured their 4th Clark Cup overall, beating the Blackhawks in the Best-of-5 series 3 games to 2. 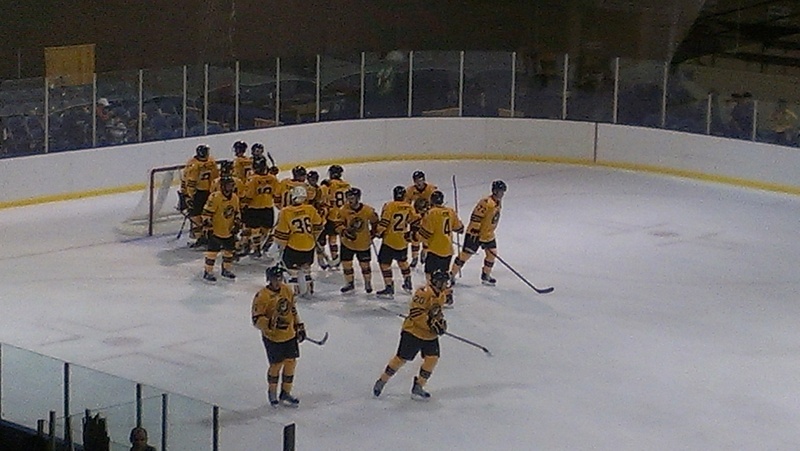 The Gamblers registered the best record in team history, going 47-9-4. They never lost back-to-back games all season. For Gamblers coach Derek Lalonde, it’s a championship in his first season at the helm. The Gamblers got goals from Alex Broadhurst, Sam Herr, Max Hartner, Noland LaPorte and Ville Jarvelainen. Goaltender of the year, Ryan McKay earned the win in the pipes, earning 22 saves on 24 shots. The Miami of Ohio recruit has 81 career wins, the most ever in the history of any Gamblers goaltender. He finished 9-3 in the postseason. the Fargo Force 5-3 to capture their first USHL Clark Cup playoff championship in a decade back in 2010. Tonight, the Green Bay Gamblers are hoping to fill the house again, for the 5th and deciding game of the Clark Cup finals against the Waterloo Blackhawks at the Resch Center. The Gamblers are in search of their 2nd USHL Clark Cup Championship in the last three years. Waterloo captured game 4 last weekend in Iowa to force a 5th and final game in the series. The Gamblers haven’t lost back-to-back games all season. If that trend continues tonight, the Gamblers will have another Clark Cup for their Trophy Case. No team has been more dominant over the last three seasons. The Gamblers regular season record over that stretch is 133,34-13. 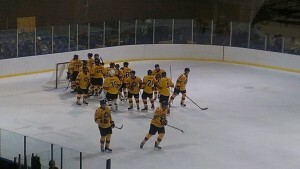 But just like across the street at 1265 Lombardi, success is no longer measured by regular season wins by the Gamblers. It’s measured by Clark Cup Championships. Anything less for the Gamblers tonight will be a big disappointment.